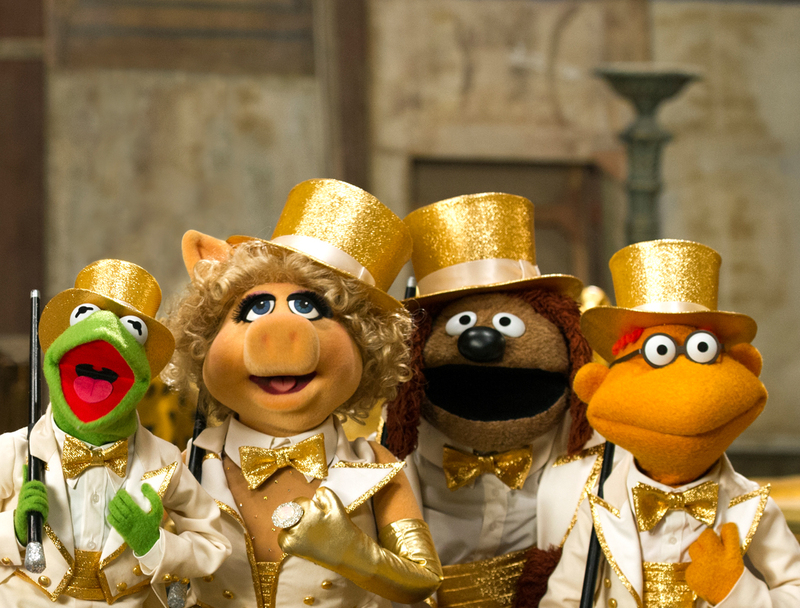 There is a reason why 2011’s The Muppets revived the Muppet franchise with Kermit, Miss Piggy, Gonzo, and the gang saving the beloved Muppet Theater by putting on a show. Going back to The Muppet Show, audiences love to see the Muppets struggle against difficult guest stars, unforeseen disasters, and even their own limitations as performers to make it to their final curtain call. Some of The Muppet Show’s best moments of comedy and bittersweet emotion derived from the backstage drama. Structurally, what I pictured for a Muppet musical was a hybrid of Noises Off and Kiss Me Kate. The main set would be on a turn-table so that the audience can see what is happening “on-stage” and “backstage,” and like Kiss Me Kate, important character moments and music numbers could happen in the show-within-a-show as well as backstage. Unlike Lilli in Kiss Me Kate, I don’t think Miss Piggy would be wooed away from Kermit and the show by another man. She loves that frog too much. Instead, a “suitor” would appeal to her career ambition, offering her the juicy leading lady role that she has always wanted. I’m picturing Harvey Fierstein (playing himself) courting Miss Piggy to star in his new musical The Charming Ingenue. For a time, he convinces her to leave the Muppets, but she returns just in time to save the day. Did her better nature win out? No, Harvey Fierstein failed to mention that Miss Piggy wouldn’t be the title character. That part went to Laura Osnes. My last request script-wise is that Hannah Hart write all the dialogue for Fozzie Bear. Considering her love of puns, it seems like a good fit. This is my dream script for a Muppet stage show, but I want to hear from the readers! Leave a comment below with your ideas for a Muppets Broadway show! If you like the blog, please share it on Facebook and Twitter, and follow us on Twitter @LudusNYC! We post Broadway ticket lottery times daily, and you can find links to all our blogs, news, and show information!